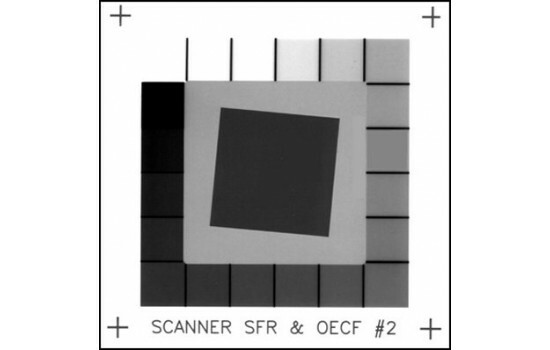 Ideal for evaluation response of digital systems to the slanted sharp edge function and used for MTF analysis. 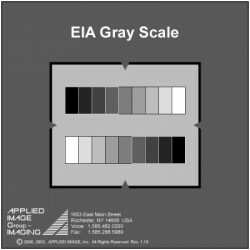 Data: Size 75mm x 75mm (3in x 3in); 25mm dark grey square rotated (5 degree) on a light grey background; surrounded by 20 nine-mm square grey scale patches. 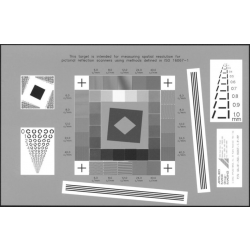 Notes: Ideal for evaluation response of digital systems to the slanted sharp edge function and used for MTF analysis.